Tim: Blurtit was founded in July 2006 and we’ve come a long way since then. We run the site with a team of 7 staff plus a similar number of moderators. Mike: The domain name, BlurtIt.com has pretty obvious meaning. Were there other names you were considering? Tim: At the time we looked at many keyword based names such as question.com questions.com but they were not within budget. Many of these domains have since jumped on the Q&A bandwagon. When we found Blurtit, it seemed to make sense, Blurtit was brandable and pretty unique whilst having a “Blurt It” match for answers. Mike: What’s one of the strangest questions/answers you have seen on the site? Tim: Why Is A Cookie A Cookie? Mike: Do you need to monitor or censor any of the information posted? Tim: Yes, we have a team of moderators to monitor and remove content that is against our terms of service (abusive, hateful, racist etc). We hope to get our community to continue to help us remove content against our terms of service. Tim: In October 2010 Blurtit received 13.5 million unique visitors. Tim: SEO is big for us as our community generates so much content. We also used PPC to get the site going in 2006/2007. Moving forward our focus is on product, we believe if we continually improve the product our marketing will follow along. 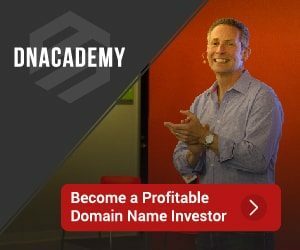 Tim: We bought the domain through Sedo and I can’t remember the exact figure but it was less than $10,000. Tim: Pick something that is memorable and brandable which isn’t already trademarked. Don’t worry about getting the keyword domains for your industry (eg Google.com vs Search.com) but think carefully about whether a .com or a localised ending such is more suitable. I suggest .com’s for international internet based businesses and local domains (such as .co.uk) for country specific e-commerce or local business. Tim: The site really is much more than the domain now. We’d be keen to look at working with a larger internet company to maximize Blurtit full potential and we’ve had a few discussions around this. I’m always interested in how the internet is used and must say this is one of the best ideas. well blurtit is okay but can not match to yahoo answer, and thier are many more other site like blurtit, i dont see what big deal with blurtit.